Home to beaches of every sort imaginable, Maui is a place that knows no bounds when it comes to gorgeous stretches of coastal paradise. A true beach lover’s dream, it’s filled with coral-bound coves, golden sands, windswept surf, and some amazing Maui tours. The second largest of the Hawaiian Islands, Maui isn’t quite as developed as Oahu and many people come to take a break from city life and soak up the sun. It’s hard to imagine a more idyllic destination, with rainforests, waterfalls and secret beaches round every corner. Well-known for its laidback atmosphere and hugely popular with travelers and surfing communities, it’s little wonder that people from all over the world arrive each year to get a taste of one of Hawaii’s most famous, most beautiful islands. When it comes to tours, there’s no shortage of choice in Maui. It’s a nature lover’s playground and there are endless opportunities to experience it, whether it’s in the water, from the sky or ambling down rainforest paths. The glorious attractions come in all shapes and sizes and we’ve had the pleasure of getting to know them and finding out which ones we like best. Read on to discover some of our favorite Maui tours in this Hawaiian paradise. Unlike some of the other islands, Maui’s stunning landscape can be enjoyed from roads, not just the air and sea. The mountainous areas aren’t as extreme as for example Kauai, so the accessibility via roads means you can be treated to a fully immersive experience and some truly unforgettable sights. Though you won’t be getting the birds eye view you’d get from a helicopter tour, you’ll be able to take Maui tours from the ground, with the flora and fauna literally at your fingertips. This Road to Hana tour has been growing in popularity as people have been discovering that it’s a genuinely fantastic way to enjoy the wonderful locations Maui has to offer if you’re too short on time to hike everywhere. The length of these tours vary but most will cover around 50 miles over the course of a day and the majority follow a similar loop that’ll ensure you miss none of the stunning locations along Maui’s coastline. For a taste of some of the best sights Maui has to offer, we recommend going with the Road to Hana Private Tour – a full day journey with frankly unbeatable service that even extends to you modifying the stops along the way to accommodate the preferences of your group. A highlight of the tour is the fact that the more people that sign up, the cheaper the individual price gets. Once your group is between 4 and 10 people, you’re only paying as much as you would for a large commercial tour group, but with all the benefits of a fully bespoke, flexible, family-owned tour agency. If you like the sound of driving through paradise munching on freshly baked banana bread, eating lunch on mountaintops and learning about the island, then this is the Maui Tour for you. Book well in advance as this tour fills up fast due to the quality of the experience. If you’d like to find out more about this Maui Tour and to book your reservation, you can go here. Stop at an original stone missionary church built in 1856, the only building to survive the 1946 tsunami. Everyone always tells you that you can’t go to Hawaii without seeing a Hawaiian sunset and while this is true, you can’t miss one of the spectacular sunrises either. It may mean rolling out of bed a few hours earlier than you’re used to but the jungles, mountains and ocean backdrops make for some of the most spectacular locations to witness the start of a new day in paradise. Maui in particular is famed for the quality of its vistas seeing as if you get to the right point, you’ll be treated panoramic views of the islands of Lanai, Molokai and Hawaii, illuminated by the sunrise. This type of Maui tour is definitely meant for those who don’t mind a bit of walking but at the same time are perfectly suitable for beginners who are keen to take some incredible photography or simply soak in the once-in-a-lifetime view. With the majority of tour operators offering free pick-ups and provide a range of delicious dietary options, it’s never been easier to experience the sunrise in one of nature’s paradises. This Haleakala Sunrise Tour is one of our highly recommended operators for this Maui tour on account of its location. The rare opportunity to see the sun come up whilst atop Haleakala Crater, the tallest peak in all of Maui, really is unmissable. Not only do you get the sunrise, but you’ll enjoy journeying through Maui’s famous grassland, Kula, to get there – alongside a host of other experiences including local grown coffee on the mountaintop, visiting Paniolo Country to learn of Maui’s history and roots and a gorgeous drive through Maui’s agricultural hub, Hali’imaile. Considering this is the cheapest of the Maui sunrise tours and you get to experience so much, we wholeheartedly suggest trying it out. When people talk about Maui, it’s impossible not to mention the surfing scene. Famed for its perfect waves and idyllic beaches, surfers have established a strong community there and days spent riding the waves is synonymous with Maui’s image. However not all the fun is had on a surfboard. Maui has some of the most diverse and picturesque aquatic landscapes in the world and thanks to incredibly passionate and skilled marine tour operators, it’s easier than ever to get to know the beautiful depths by going on one of the various Maui snorkel tours. Although there’s an abundance of underwater wonders to see, the majority of the action is found in the submerged Molokini Crater. Molokini snorkeling as well as submarine experiences are hugely popular owing to the breathtaking coral reefs and sea life that can be found there. Whether you want to jump in the water, paddle in a kayak or brave the deep in a submarine, Maui is filled with tours that give you the chance to experience its enticing waters first-hand. Get ready to get up close and personal with Hawaii’s most celebrated friendly marine giants, the Hawaiian green sea turtle. This tour is our go-to for Molokini snorkeling that’ll keep giving and giving. From optical eye masks for glass wearers to a Junior Naturalist Program for kids, the level of service received on the tour is astounding. Expect to travel to not one but two premium snorkel sites where you’ll get the once-in-a-lifetime chance to explore the coral-bound depths and swim with friendly sea turtles under the supervision of Certified Marine Naturalists. Suitable for everyone including young infants, it’s hard to find a better, more enjoyable tour for the modest price of just over $100. Departing from either the Lahaina or Ma’alaea harbors, this is one underwater adventure not to be missed. To see what’s included in this tour and book your spot go here. Voted Maui’s favorite turtle sighting eco adventure for 6 years running, prepare to be blown away by the underwater experience that is Turtle Town. Combining the excitement of kayaking with the breathtaking sights of West Maui’s best snorkeling locations, this tour is perfectly suitable for beginners. Also, not only do you get to swim with the majestic giants – you’ll catch sight of dolphins, manta rays, octopuses and even humpback whales depending on the season. Over the course of 3-hours and departing from Ka’anapali Beach, you’ll be able to paddle around one of Maui’s most abundantly biologically diverse waters, have some close encounters while snorkeling and then enjoy a delicious lunch back on board. You even get breakfast before setting off! To get more detail of this Maui snorkeling tour and to see their availability you can click here. If you really want to get to know the depths, then what could be better than hopping aboard a full-sized passenger submarine to get there? As one of the largest providers of tourist attractions on Hawaiian Islands, the Maui Undersea Adventure offers a truly unforgettable journey through a unique underwater paradise that’ll leave you wide eyed. At the Atlantis Maui dive site, you’ll experience marine life and even shipwrecks up close at depths of over 100 feet in absolute comfort and perfect safety. With a capacity of 48 passengers, the Atlantis submarine is the most technologically advanced vessel of its kind, featuring an air conditioned interior, large viewports and comfortable seating. There’s no doubt that this is a go-to premium submarine tour in Maui. Find out more about how you can explore the depths here. Remember how we said you can’t visit Hawaii and miss the sunrise? Well it still stands true that you can’t miss the sunset either and what better way to experience it than aboard one of the many premium vessels on a Maui dinner cruise. Dine in unparalleled luxury as you watch the sun go down over the Pacific Ocean on one of the various ships where attentive crews will tend to your every need and island bands will soundtrack your experience. Hugely popular with families and singletons alike, these cruises are the perfect luxury highlight to any visit to Maui. Departing with the setting sun at 5pm, the Maui Sunset Premium Dinner Cruise is a memorable event, which is why we’re recommending it as our top-rated Maui dinner cruise. Featuring live Hawaiian music and a positively mouth-watering menu cooked freshly on board, this cruise even guarantees a seat outdoors if you choose the premium option. It also accommodates for visitors staying in both Lahaina and Ma’alaea, with a cruise leaving from each of their harbors. Whether you’re looking for a romantic night out, or one with family and friends, this is a great cruise which you can find more info about here. Although it’s an incredibly enjoyable and up-close experience, driving tours will never give you quite the same breathtaking, sweeping overhead views that you’ll get in a helicopter tour. 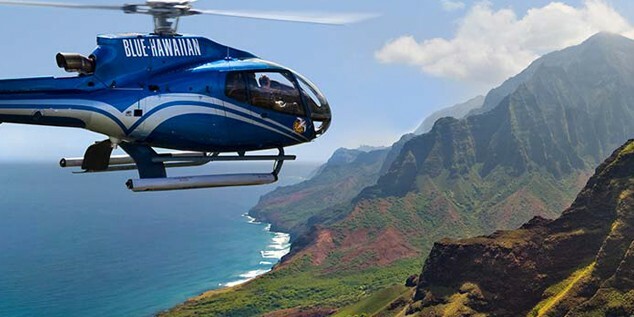 Perfect for those looking for more of a thrill-ride experience, Maui helicopter tours are the preferred way to get around to seeing more of the island, of which parts are inaccessible by road. If you’d like to discover “The Magic Isle” in a way like never before, then booking one of the many Maui helicopter tours is the way to do it. As the island is small enough, you’ll be guaranteed to hit all the best locations over the course of a day. Combining the West Maui and the Hana Haleakala tours, with the Maui Spectacular you’ll cover the entire island, being treated to spectacular view after view. Look forward to emerald forests, moon-like vistas of Mt Haleakala, the rolling grasslands of Upcountry and the thundering falls of West Maui. The longest tour is 90 minutes and the most expensive at $321. Truly an amazing experience, you’ll be kicking yourself if you miss out on this one – hurry up and grab your spot now. What better way to spend your evening than enjoying authentic Hawaiian culture, food and music on a beach in one of the most beautiful destinations on the planet. The luau is an unmissable part of your Hawaii experience and Maui, with all its natural beauty, provides the perfect setting for one. The abundance of pristine beaches and the people’s strong ties with their Polynesian heritage makes a Maui luau one of the best you can find in Hawaii. When it comes to the best of the best, look no further than the Old Lahaina Luau. Famously known to be the best luau in Maui, the oceanfront location in Lahaina is the paradise-like backdrop that people conjure up in their imagination when they picture a perfect luau. With an unparalleled dedication to hospitality and food provided by award-winning eateries such as the likes of Star Noodle and Leoda’s Kitchen, the Old Lahaina Luau is not one to be missed. Having garnered awards for its cultural sensitivity and commitment to providing truly authentic entertainment inspired by Polynesian history, Old Lahaina is also a place of learning, where you’ll leave with an insight into the past of Hawaii. 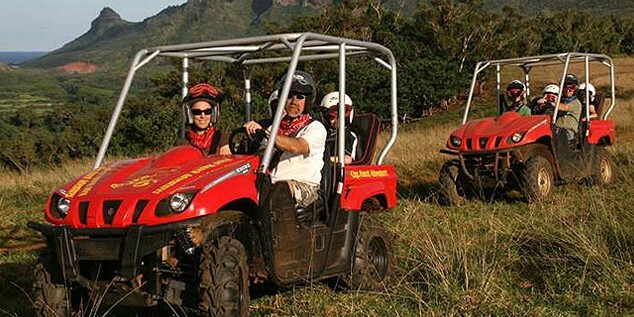 Perfect for visitors who don’t mind getting down and dirty with nature, an ATV Tour in Maui combines spectacular views with the fun of barreling around paradise on top of your own ATV. The term “All-Terrain-Vehicle” really couldn’t be more appropriate for this style of tour, with Maui being home to everything from grasslands to mountains and dirt roads to jungle paths. Designed for the true adventurer, there’s no feeling quite like the wind whipping past as you zoom through the various terrains that Maui is famous for. Remember to check which tour operators provide raincoats or ponchos or anything else you might need to stay dry because don’t doubt that there’ll be plenty of water to drive through, after-all, these tours are off-road adventures! If you’re looking for an experience that’s full of excitement and breathtaking views from start to finish, then the Kahoma Ranch ATV Tour will tick all the boxes. With an incredibly beginner-friendly orientation that incorporates safety into the fun, you’ll be taken on a guided adventure through Maui with views of Lahaina Town, Ka’anapali Resort and finally up to “The Garden”, a lookout in Kahoma Valley where you’ll get the chance to learn about the flora and fauna. With stops and refreshments provided throughout, we can’t recommend this tour enough! It’s the perfect off-road way to discover Maui. To get your off-roading on, swing on over and book your tour. Maximum weight limit per vehicle of 500 lbs. Which Maui Tour is Right for You? Whether you’re looking for adventure, family fun, or a romantic excursion, there’s plenty of Maui tours to choose from. One of the great things about Maui is that it’s not as touristy as other islands, allowing you to get the full experience when going on a tour. The only question is, which one? Well, now that you have all the info you need, it’s up to you to decide!